Last Lap Pass Earns Johnny O'Connell 1st at Sonoma! This entry was posted on September 22, 2016 by Josh Biggers. This past Saturday's Pirelli World Challenge came down to an astonishing last lap pass. Veteran sports car champ Johnny O'Connell chased and caught young gun Austin Cindric to win at Sonoma Raceway. Cindric, the driver of the No. 6 K-PAX Racing McLaren 650S, sat on the pole position from the start of the race while Johnny O'Connell, driver of the No. 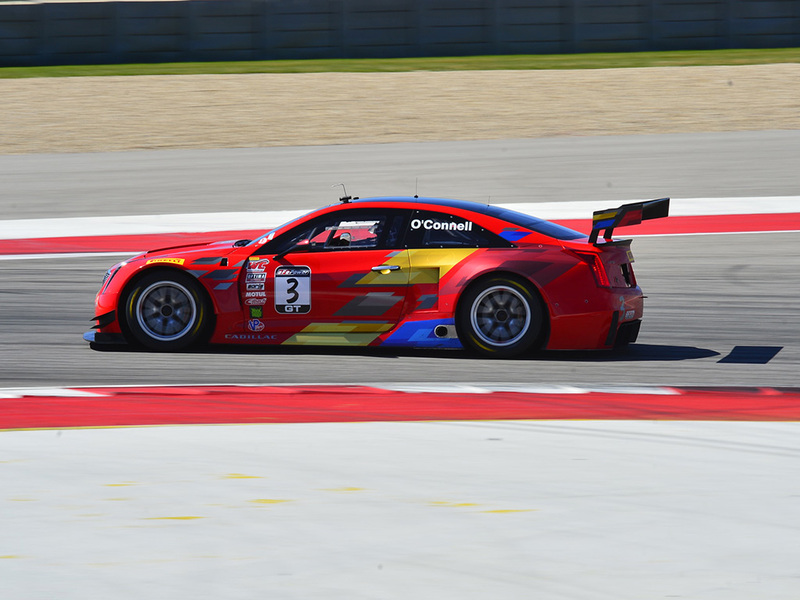 3 Cadillac Racing Cadillac ATS-V, started from third. It was a game of chess on the track, as O'Connell stayed behind the McLaren throughout the entire race observing the faults in his opponent's vehicle waiting for the perfect chance to pounce. Austin meanwhile focused on running a perfect race, minimizing the chance of making mistakes. The 12 turn, 2.38-mile road course was a 50-minute event with a total of 31 laps ran during the race. For Cindric the event seemed to go on forever as O'Connell was lurking behind in second putting the pressure on the young 18-year-old for first. It all came down to the last lap on turn six. O'Connell found himself close enough to capitalize on the opportunity when Cindric lost rear traction in his McLaren 650S, this left the inside lane open for O'Connell to pass and beat him by 0.716 seconds for an exciting photo finish! 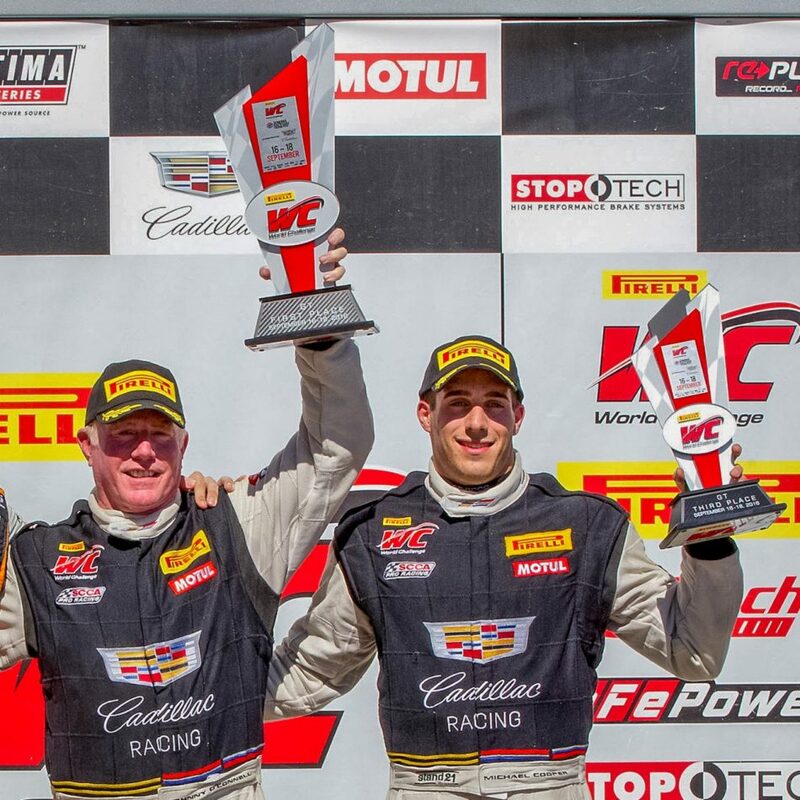 The race was Johnny O'Connell's 19th victory in the Pirelli World Challenge and coincidentally his 60th overall win as a driver for GM. For Austin Cindric, he continues to chase that elusive first win as this is his second runner-up finish in the year. Round 20 and the final race for the GT and GTA classes will take place at the famed Laguna-Seca Raceway. Stream it live on - www.motortrendondemand.com/watch-live/ or watch the race on October, 16th 2016 at 3:00 p.m. on the CBS Sports Network.